What is a Church of England funeral? An Anglican, or Church of England funeral service centres around a message of God’s love and the hope that people go to Heaven when they die – a place free from pain and suffering. 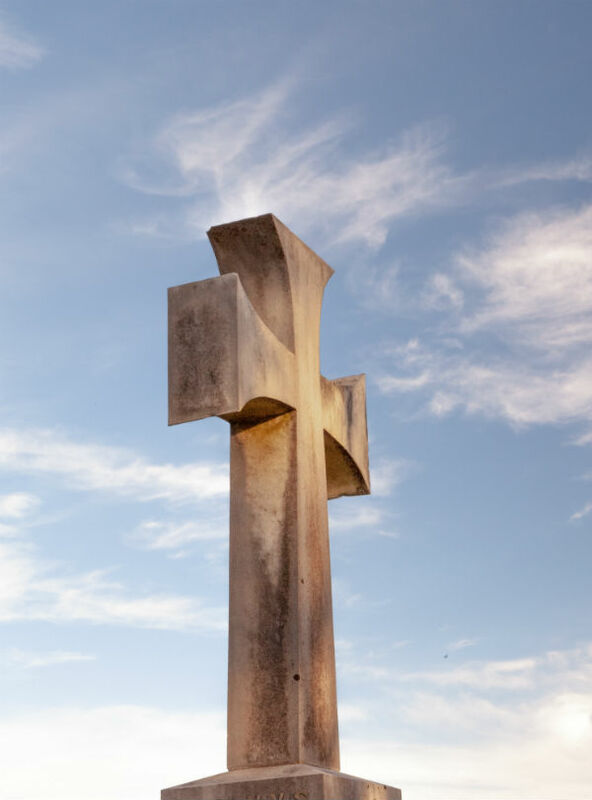 As well as express hope of new life in Heaven, Anglican funeral services also include prayers, and hymns and Bible readings to comfort those who are grieving. A Church of England funeral service can take place almost anywhere, including a church, cemetery, crematorium, or woodland burial site. The person who died need not be a churchgoer or a member of the Church of England to have this type of Christian funeral service, and neither does the person arranging the funeral. How do you plan a Church of England funeral service? If the person who died or the family are churchgoers, the local vicar can help you to arrange a Church of England funeral service, with the support of the funeral director who can attend to the practical elements. If the family weren’t churchgoers, but you’d like a Church of England funeral for a loved one, your chosen funeral director should know a minister to approach in your local parish, who can help. The vicar will usually arrange to meet with you to find out more about your loved one and the hymns, music and readings you’d like, which may include non-religious poem or music, and family members giving a eulogy. Can you have a Church of England funeral service at any church? There are 16,000 Church of England churches across the country. Each one serves a parish – so even if the person who has died was not a churchgoer, they will have lived within the parish of Church of England church nearest to them. If you wish to have a church funeral at the person’s parish church, you’ll need to contact the local vicar. It may also be possible for you to arrange a church of England funeral at a church in a different parish. Church of England directory A Church Near You can help you search for and find an Anglican church for a funeral. What’s the order of service at a Church of England funeral? The Church of England’s order of service is sometimes known as a funeral liturgy. This is the order of events that take place during the funeral, from the arrival of the person in their coffin, to the hymns, prayers led by the minister and Bible readings for a Church of England funeral. The funeral service may also include a eulogy or speech from friends and family members. The Church of England can tailor the funeral to be unique for your loved one, but also has a more traditional and formal order of service. You can find a step-by-step guide to this funeral liturgy on the Church’s website. During a Church of England funeral, the coffin is usually placed at the front of the church. If someone has died and already been buried or cremated, a Church of England memorial service can be held for them. A photograph of the person who has died is often a focal point in place of the coffin, at a Church of England memorial service. How long is a church funeral service? Church of England funerals can take anything from 30 minutes to over an hour, depending on the order of service. Occasionally, a Church of England funeral service may include Holy Mass and the giving of Holy Communion. The length of the funeral service depends on the choice of hymns, readings, funeral music, eulogy and other elements of the service. Does the Church of England support cremations and the interment of ashes? You may choose to have a cremation as part of a Church of England funeral service. If your loved one wishes to be cremated, all or part of the funeral service may take place at the crematorium chapel or church. Following the cremation, the church minister or vicar may lead the service and recite prayers when it is time for the interment of ashes. Ashes may be buried in a cemetery, buried on private land or placed within in a columbarium. Subject to burial fees and available space, a burial can take place in the Church of England churchyard located in the parish where the person lived. If the person is not a member of the parish, then this still may be possible. In both cases, you or your funeral director will need to contact the local minister or parish council. Bear in mind that many churchyards are full and may not be open to new burials, so availability of a gravesite will depend on the circumstances of each church. In a traditional burial at a churchyard, a vicar will usually lead a Church of England burial service, giving the proper rites and reciting prayers at the graveside. If a Church of England funeral service includes Holy Communion, mourners are invited to the front of the church and accept a sip of wine and a piece of bread or communion wafer. This represents the body and blood of Jesus Christ and is an important ritual for many Anglicans. During Holy Communion it is acceptable to remain seated if you do not wish to participate; simply wait quietly and respectfully. Equally, many Church of England congregations will welcome non-members to celebrate Holy Communion with them, and this may be communicated to mourners by the vicar. If you do not wish to join in Anglican funeral prayers during the service, this is also acceptable, as long as you maintain a respectful silence. What do I wear to a Church of England funeral service? Funeral attire for a Church of England funeral service is generally traditional formal clothing, usually black or dark colours, although in certain cases families may request otherwise. If the family want people to wear bright colours instead of traditional black clothing, this will usually be communicated to mourners beforehand. What happens after a Church of England funeral service? The family and close friends may host a post-funeral reception, commonly known as a wake, at a church or at a family home. This may include refreshments and gives mourners the opportunity to talk and share memories of the person who has died. There are no prescribed mourning periods or memorial events, although the Church of England does encourage the bereaved to light candles in remembrance or attend memorial services if they wish. Can organ donors have a Church of England funeral? Organ and tissue donation and embalming is permitted by the Church of England and it’s also possible to have a viewing or open casket funeral for someone who has been an organ or tissue donor.